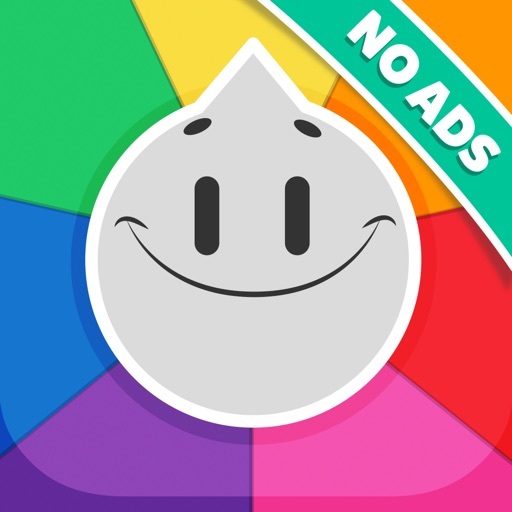 Trivia Crack (No Ads) App Data & Review - Games - Apps Rankings! 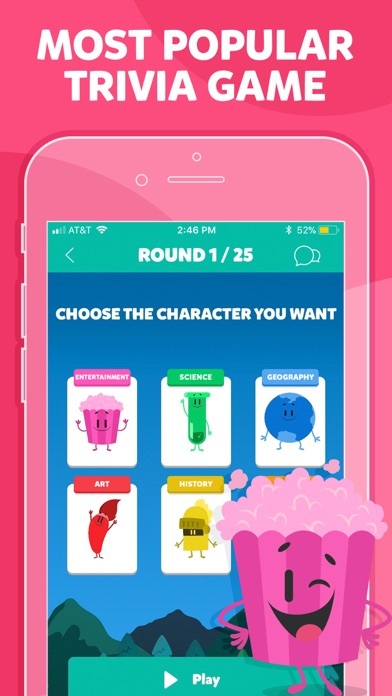 The applications Trivia Crack (No Ads) was published in the category Games on 2013-11-06 and was developed by Etermax. The file size is 321.56 MB. The current version is 3.14.0 and works well on 10.0 and high ios versions. 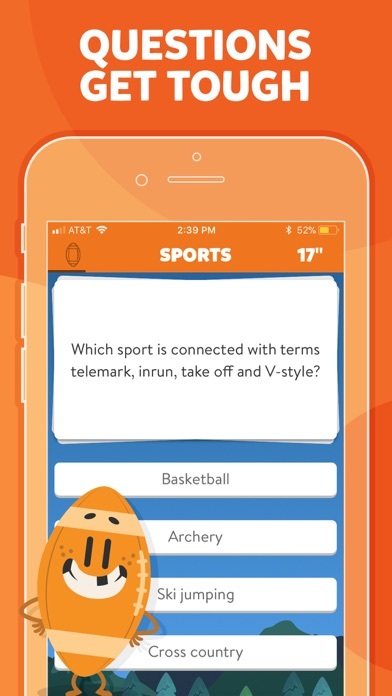 Do you like Trivia Crack (No Ads) applications? Please share! I love it. Playing with my friends. Seeing who's the best guesser I’m either really smart or I guess really well. My friend, who does NOT have the ad free version, has a Question of the Day. Why doesn’t this version have it? Need more time to review correct answers. Now it is filled with ads. And the township ad freezes the game EVERY TIME. I didn’t know about a daily question until my mom mentioned it. I don’t have a Daily Question. I tried updating it, but still no Daily Question. Really wish I had this feature. 😕 I also don’t understand why they changed the missions/Trivia chest to a 24 hour cycle. Makes it impossible to complete when you have a life outside of gaming. Other than these new revelations, I still have the same complaints - grammar/spelling, submitted questions never getting rejected or approved, etc. Used to be much more enjoyable until they took away the Random Challenge. Many questions are incorrect and horribly written with numerous spelling and grammatical errors. Several questions are repetitive. 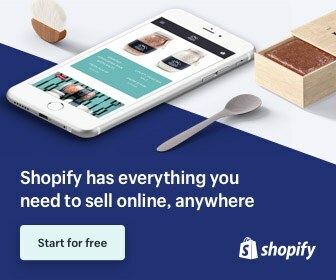 It seems now that all the developers are interested in is devising new ways to part you from your cash. I used to spend a lot of time playing. I rarely look at it anymore. It’s too bad because the game has good potential. I have been playing Trivia Crack for about five years, and it still a pretty good game. It’s gone through a lot of changes, then reversal of changes and then more changes. This is someone’s business and it’s a money maker, so I can understand why they keep tweaking the product. But from a consumer standpoint I wish they would leave certain things alone. With the “Missions“ and the “treasure hunt“ formerly you were given 36 to 72 hours at various points to complete all the stages and collect coins. Someone obviously thought they weren’t selling enough coins so they took away the ability to earn higher numbers and shorten the time frame to 12 hours. A majority of the other reviews point out the spelling errors and translation issues, this still continues although it has gotten much much better. Sometimes the questions have the wrong answers that it’s pretty obvious, but it’s rare. I enjoy playing in the “crown league” but that too is next. One week you can get into the top 20 for a medal position with 100 crowns, the next week you can’t touch even the bottom position without having 400 or more. It’s very uneven from week to week. But anyone complains that they can’t collect coins, hearts, or diamonds simply isn’t playing the game very well. I’ve never purchased one of these things and I have 1000 hearts, I bought almost every card there is with diamonds, and I have 1.8 million in coins, yes that’s correct, 1.8 million in coins without having ever made a single purchase. Overall it’s a pretty fun game, but you have to look at it as a game, friends and acquaintances have complained that they can’t win, but you just have to keep playing and run your scores up. Please remove the pig from my screen. It is annoying and I’m not going to ever buy it. Every time I try to use the Apple Watch to start a new game then play against random player (or one listed) the app resets and asks me to start a new game again! Please fix, I’m on newest version as of today. Bring back the challenge losing a fan. What happened to the individual challenge ? Much better then classic!! I love Trivia Crack.... I have learned a lot! But can we get rid of the piggy bank from the front screen? Pretty please. Crown league didn’t give me a crown in my performance!! 😫. Very disappointed. Also way too many boring American sitcom show Friends and football questions!! Lots of fun and love this game! Minor detail... When the lost your turn wheel comes up, can't it vibrate in the same way that it does in the main game? Yo, firstly every time I open the game I don’t need that annoying pop up asking if I want to start a new game. Secondly when I get a question wrong, don’t put the pop up to spend coins to try again right on top of the button to quit that game, it’s blatantly obvious you’re making people waste coins here (just don’t make it pop up at all!). Thirdly, I just want trivia, I don’t care much for these coins, diamond and hearts (whatever they do), and there are too many pop ups and things asking me to spend them, or to spin a wheel to get more. Whoopty do. If my friend didn’t ask me to play this with her it would not be on my phone that’s for sure, and I deeply regret giving you money to remove advertisements. P.S. I forgot the main reason I went to write a review, I keep getting notifications to open the app but there’s no game to play, it’s just the app making me open the game for no reason. Go figure. Probably hoping I’ll spend more money, good luck with that. Great game but sad to see the group challenges go. 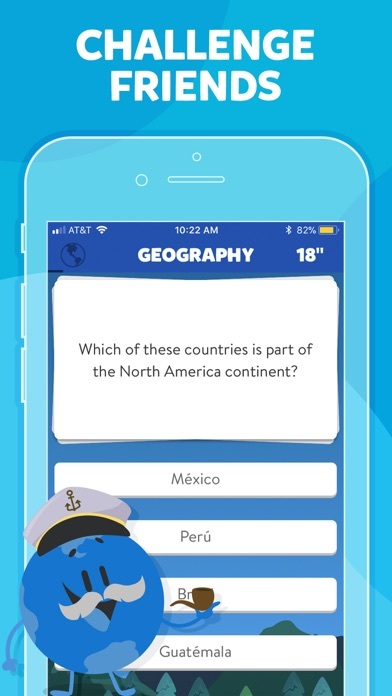 Awesome trivia game, with a diverse variety of questions. Play continuously with one opponent or select a variety. Love this game. Love the game but you purposely put the retry button where the continue button is so I keep accidentally hitting it and spending coins. 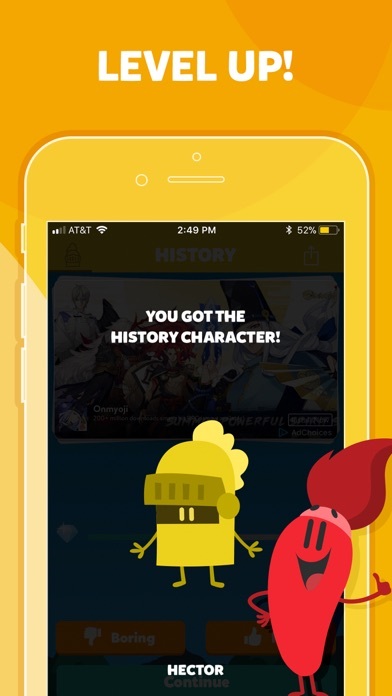 If it happens again I’m just gonna delete the app. Enjoy playing the game very much. Only thing that I don’t like is the piggy bank. It doesn’t allow you to gain anything without spending money. Paid for the ad-free version for my daughter and she made it 5 minutes before she was blocked from playing without paying more. Probably the worst app I've ever had. Game keeps exiting out on my during gameplay. Please fix. Can not play on Apple Watch. That’s a bummer. I really like the game. The only reason I gave it four stars instead of five was because they got rid of challenge mode. I have no problem playing on my phone, but have stopped using this app on my Apple Watch. My main issue is that playing this app on my Apple Watch Series 4 is ruining my experience of playing this game. Here are what I dislike about playing on my Apple Watch. 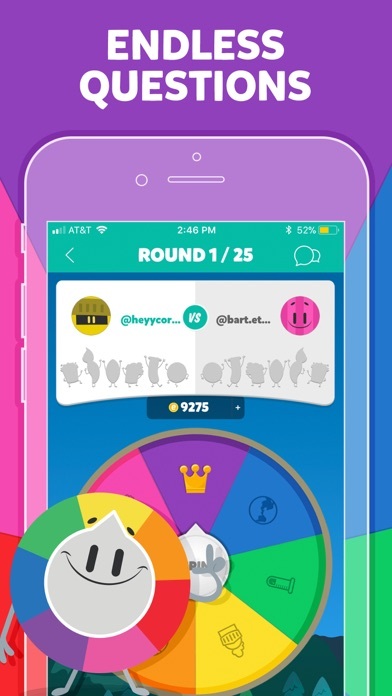 When I spin the wheel to answer a question, it doesn’t fit the screen (a small portion of the wheel is cut at the bottom of the screen). There also seems to have a bug where the app, on my Apple Watch, will close itself down. It also will periodically refuse to move on to the next question/player, regardless if I got the question right or wrong. I would hope that these issue could be locked at and fixed if there is a problem. Great for seeing if you know answers to random questions. Really wish I could remove. I have no intentions of spending the $. Some of the questions are a little crazy, lots of biblical questions in the history section and it's quite USA centric in sports and geography. But still it's great fun. Games good, addictive and productive.